Some of the worst accidents involve 18-wheelers. These large commercial trucks, also known as semis, semi-trucks, tractor-trailers, Mack trucks and big rigs, cause serious, often catastrophic injuries on our Kansas City roadways. Often, truckers are pressed by deadlines and long hauls. Fatigue is prevalent, leading to drivers falling asleep at the wheel or lacking sufficient attention to be able to react in that split second to avoid an accident. Drivers tailgate. They drive recklessly, not following the speed limit or rules of the road. They may not be properly trained or licensed. Equipment fails or it might not have been properly maintained. Bad weather causes challenging driving conditions and hampers visibility. Whatever the reason, a crash between an 18-wheeler and a passenger vehicle often results in the smaller car being crushed by the sheer force of the truck’s weight and speed. Big rig, 18-wheelers are typically huge trucks that carry tons of cargo on the roads through our cities and through rural areas. Because of their size and weight, it takes these vehicles much longer to stop and when they collide with another vehicle, they carry a lot more force. Generally, an 18-wheeler accident at highway speeds results in a combination of injuries and/or fatalities for the occupants of the smaller vehicle. Because of the severity of these injuries and potential long-term treatment needed, medical bills can mount quickly. There are many reasons why 18-wheeler truck accidents are more complex. Having an experienced attorney, one who knows the state and federal regulations, can take the burden off your shoulders. 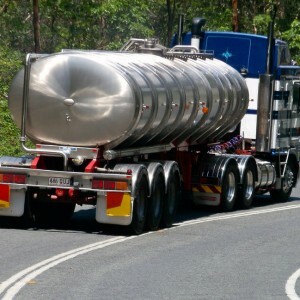 Determining fault in an 18-wheeler accident can be challenging. You might think it is solely the truck driver’s responsibility but there actually may be multiple responsible parties depending on the circumstances of your accident. 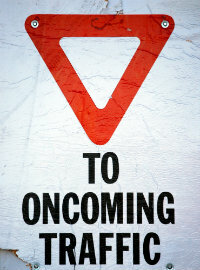 For instance, the cause might be due to operator error, such as speeding or failure to yield. In this case, the driver is probably at fault. Mechanical problems, poor maintenance and overloaded trucks are more complicated and responsibility could be shared by the truck driver, the owner of the truck, the manufacturer of the vehicle or even the shipper or loader of the truck’s cargo. Our goal is to help you and your family put your lives back together by obtaining the compensation you deserve to restore your health, pay medical bills, recover lost wages and take care of other serious consequences such as a wrongful death. In the Kansas City area and across Missouri, when you have been seriously injured in an 18-wheeler accident, you need a trusted and experienced resource who will fight for your rights. Contact the truck accident attorneys at Nash & Franciskato for a free, no-obligation evaluation of your case.